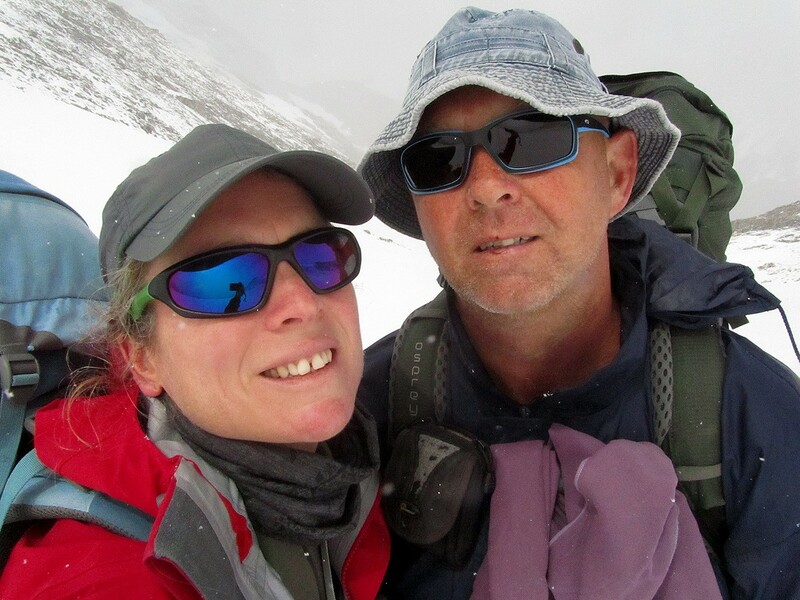 Zoe and myself have wanted to cross the Pyrenees from Atlantic to Med for many, many years, but what with me living in the USA, and Zoe living in New Zealand it was not easy to both be at the same place at the same time.. Until 2016.. I decided I was going to do the GR11 with or without Zoe, I was thrilled when she let me know she would definitely join me..
Why the GR11 and not the GR10 or HRP? I did a lot of research, and it seemed that the HRP was out of my league, and that the GR11 was far more nicer, scenic and weather than the GR10. Another important factor was that the Cicerone Guide to the GR11 was fairly recent, and had some great write-ups as being very reliable.. Our choice was made. I got my guidebook in July 2015, which gave me about 11 months to plan & prepare. I actually really like the planning and preparing part of a trip. I have done a lot of hiking all around the world, so I was not short on gear, however the last hiking trip I did was a whole year in New Zealand [ where I met Zoe ] and that was in 1999, followed by a few months in Norway in 2004, all in all, a long time ago. Outdoor gear has come a long way since 2004, and all my stuff was big, bulky and heavy!! I spent quite some time researching good quality lightweight gear. I definitely wanted to upgrade my backpack, MSR whisperlight + cooking utensils, ThermaRest and sleeping bag, all were still in excellent condition but too big, heavy and or bulky. I also invested in titanium 1L pot, waterproof bags, Petzl head torch [ very small ] , hiking socks, shorts, boxer shorts, etc.. etc..
You wrote, ‘I did a lot of research, and it seemed that the HRP was out of my league, and that the GR11 was far more nicer, scenic and weather than the GR10’. I’ve done all three of the Pyrenean routes (GR10, GR11 & HRP). ALL were tremendous. All presented different challenges. I think the biggest factor in determining challenge, or degree of difficulty, on the three routes is the weather experienced and (particularly) the amount of snow that month & year. For me I had some epic days on GR10 (the so-called easiest route) because of unexpectedly low snow levels over some (normally) easy cols. I won’t bore you with tails of me desperately clawing my way through snow corniches; but it made MY experience of the HRP seem very easy indeed. I would add (as someone who camps high on such routes whenever I can), that in some ways the HRP was the easiest, as you don’t spend so much time re-climbing back up to the high ground after a visit to a village. Which highlights another main challenge of the HRP; getting food. Not so many shops or refuges to re-supply from.